Glory was starstruck at a young age and fell in love with classic Hollywood movies and movie stars and loves writing about both! Jane (Maureen O'Sullivan) and Tarzan (Johnny Weissmuller) in a scene from the 1941 film Tarzan's Secret Treasure. Edgar Rice Burroughs first introduced the world to Tarzan in a 1912 issue of The All Story Magazine. It wasn't long until Hollywood took notice of this popular literary character and decided that he should become a movie character too. The 1918 silent film Tarzan of the Apes starred Elmo Lincoln in the title role. It was a hit and Hollywood had a new hero, one that continues to enthrall movie-goers to this day. This guide to the actors who have played Tarzan is as complete as I could put together. If you know of any omissions, let me know in the comments section. Please note that all photos used on this page, if not otherwise indicated, were sourced from Amazon or eBay. Big, barrel-chested Elmo Lincoln was the first actor to bring Tarzan to the big screen, in the 1918 silent film, Tarzan of The Apes. Edgar Rice Burroughs wasn't impressed with Lincoln and didn't want him to play the role. Rice preferred actor Stellen Windrow, who had given up acting at the outbreak of World War I. This left the role available for Lincoln. A second film, Romance of Tarzan, was released in 1918 and also starred Lincoln. In 1921 Lincoln starred again as the famous ape man, in the 15-part movie serial The Adventures of Tarzan. Lincoln died of a heart attack in 1952. He was 63. Griffith's got his first acting role when he was seven, playing a regular part in the four Little Billy short movies in 1914 and 1915. Mack Sennett of Keystone Studios cast Griffith in several of his slapstick comedy movies and Griffith played opposite Charlie Chaplin, playing a paperboy in Tillie's Punctured Romance. Milton Berle often took credit for playing this role, but it was Griffith's work. In 1918 he played the boy Tarzan in the silent Tarzan of the Apes. Griffith's career made the transition from silent films to talkies, but he got smaller roles. His last role was in the 1936 film Outlaws of the Range. After that, Griffith moved into other areas of the movie industry and got his first job as assistant director at 23. He continued to work as an assistant director until 1940, and had over 20 films to his credit. Griffith produced five films between 1937 and 1956 and worked as an associate producer under Robert E. Sherwood. In 1941 he worked as a director and associate producer with Gregory Ratoff Productions. That same year he was named production manager at Columbia Studios but he eventually moved on to RKO to work as an associate producer. Griffith died of a heart attack in 1958 at age 51. Born in 1876, Perce Dempsey Tabler had a varied career: opera singer, businessman, founding member of Paramount Pictures, athlete, and wearer of Tarzan's loincloth. 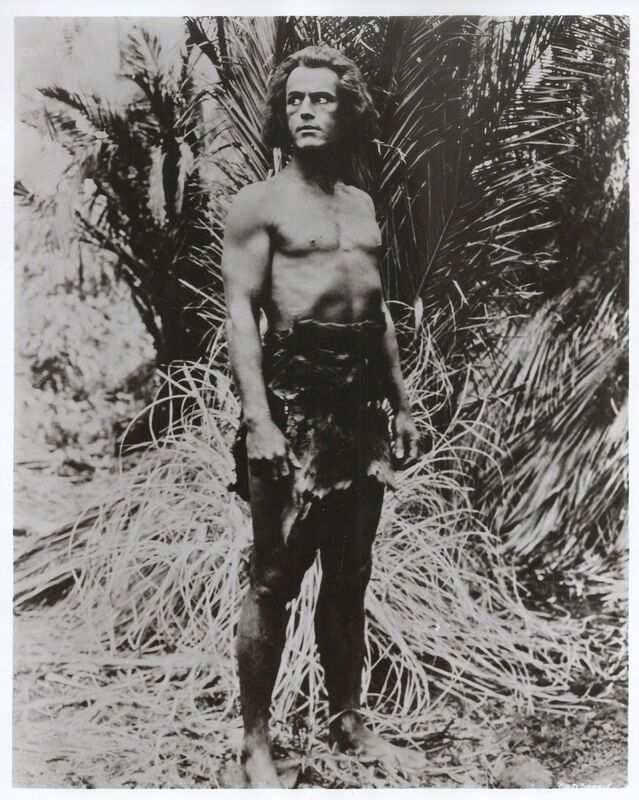 Beginning in the summer of 1920, Tabler starred in a 15-chapter movie serial, The Son of Tarzan, based on a Edgar Rice Burroughs story of the same title. The series tells the story of Korak, son of Tarzan and Jane, who is kidnapped and taken to Africa. Gordon Griffith played the role of of Korak as a child and Kamuela C. Searle as an adult. The role was Tabler's first acting role and he did act in one more film, Spawn of the Desert in 1923. He went on to become successful in advertising. Samuel Cooper Searle was born in Hawaii in 1890. Around 1915 he met director Cecil B. Demille on the beach at Waikiki. DeMille was so taken with Searle that he encouraged him to pursue a career in film. It has been said that Searle acted in small parts in a few early DeMille films, though he is not credited for any acting work during this time. During World War I, Searle enlisted in the U.S. Army and was wounded in France. When he was discharged, he changed his first name to Kamuela, the Hawaiian spelling of Samuel. In 1919 he appeared, uncredited, in DeMille's Male and Female. 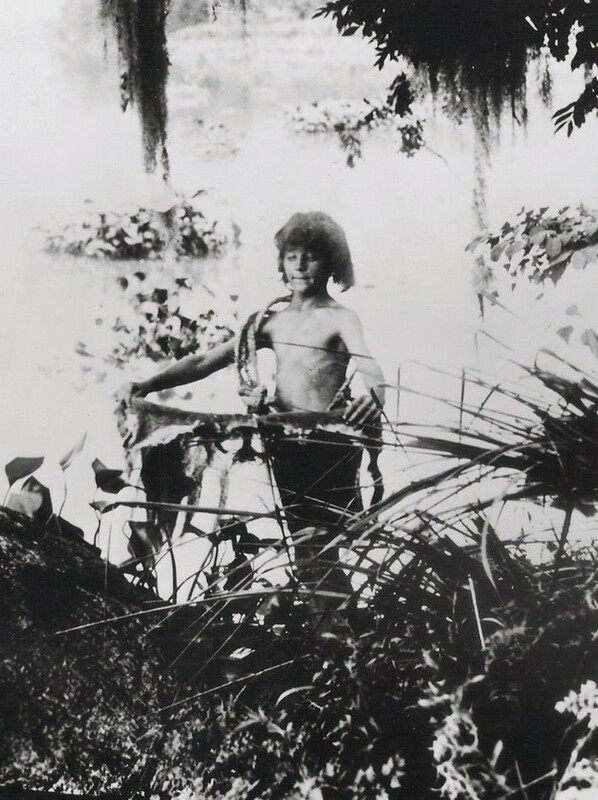 In 1920, Searle took the role of a young Tarzan in the 15-part movie serial The Son of Tarzan. There is a myth that Searle died during the filming when an elephant slammed him to the ground. Though he was injured badly, and a double had to complete some remaining shots, Searle survived and went on to complete Fool's Paradise in 1921. After that he retired from the film industry and devoted his time to painting and sculpting. Searle died of cancer in 1924 at age 33. When producers at Numa Pictures wanted to make another Tarzan film, they approached Elmo Lincoln to reprise his role, but he refused. At 28, New York City firefighter Joseph C. Pohler stood 6' 2" and weighed 215 pounds. He was the perfect choice. Pohler changed his name to Gene Pollar (some sources show his name spelled as "Polar") and earned $100 a week. The Revenge of Tarzan turned out to be a big hit and he was offered a contract with Universal. Numa wouldn't release him from his contract, so Pollar went back to being Joseph Pohler and fighting fires in New York. He eventually retired to Florida, where he died in 1971 at the age of 79. James Pierce was a football player at Indiana University. After graduating in 1921, he moved to Arizona where he coached football and worked as an actor on the side. Pierce moved to California and in 1924 he got his first movie role, in the film Leatherstocking. He continued to coach football, at Glendale High School, and some of the student players on his team would eventually take up acting, men like John Wayne and Robert Livingston. Pierce's career and life took a major turn when he was invited to a party given by Edgar Rice Burroughs. At the party he met Burroughs' daughter Joan. The couple fell in love and married in 1928. 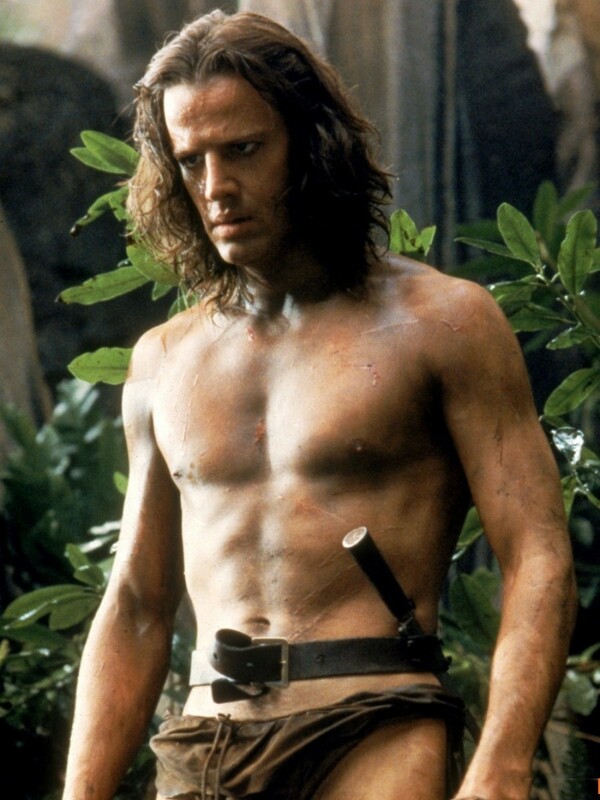 Also, Edgar Burroughs thought Pierce was the perfect shape and size to play Tarzan. Right there at the party he offered Pierce the lead role in Tarzan and the Golden Lion. Pierce earned $75 a week while working on the film, which was released in 1927. While it was popular with audiences, the movie was panned by critics. It was Pierce's first and last role as the famed ape man. However, Pierce and his wife Joan were the voices of Tarzan and Jane on national radio between 1932-34. They remained married until Joan's death in 1973 and James Pierce passed away in 1983. Frank Merrill held many jobs during his lifetime: gymnast, police officer, stuntman, and actor. 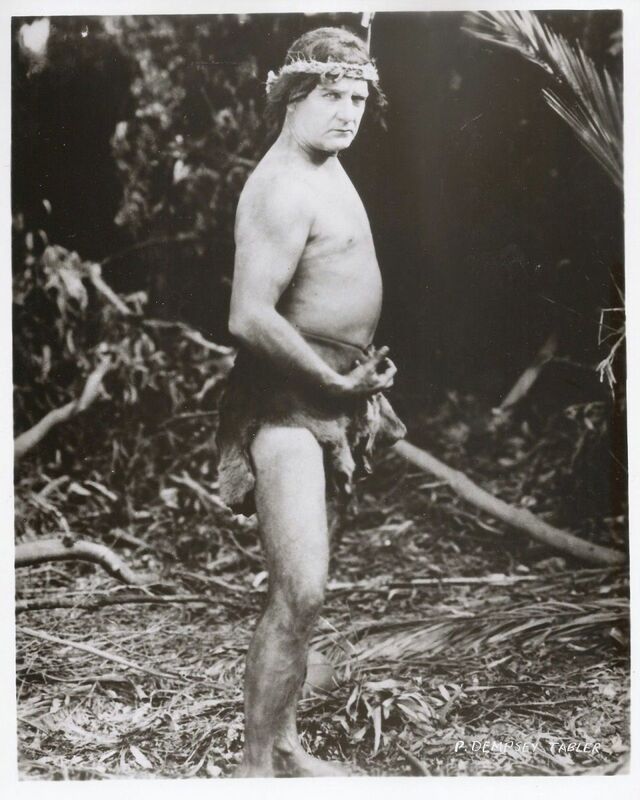 Merrill was Elmo Lincoln's stunt double in the 1921 movie serial, The Adventures of Tarzan. In 1928 he wore the loincloth again in Tarzan the Mighty, replacing actor/stuntman Joe Bonomo. 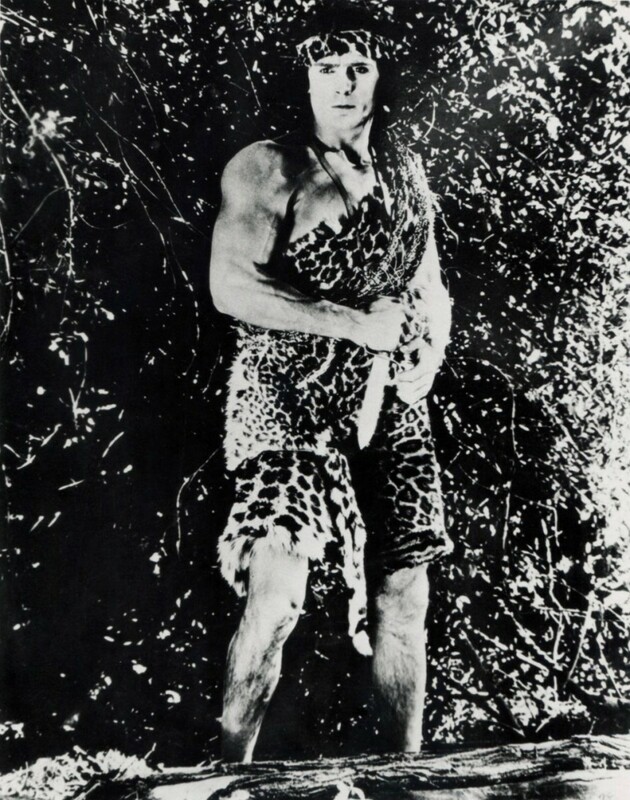 In 1929, Merrill was Tarzan in Tarzan the Tiger. While this film was mostly silent, there were a few parts that had sound and unfortunately Merrill's voice didn't make the cut for "talkies." His career was over after just two outings on the big screen. This suited Merrill fine. He found a new career he liked better—working with children. He got a job at the Los Angeles Parks Commission as a recreation director and volunteer gymnastics instructor. 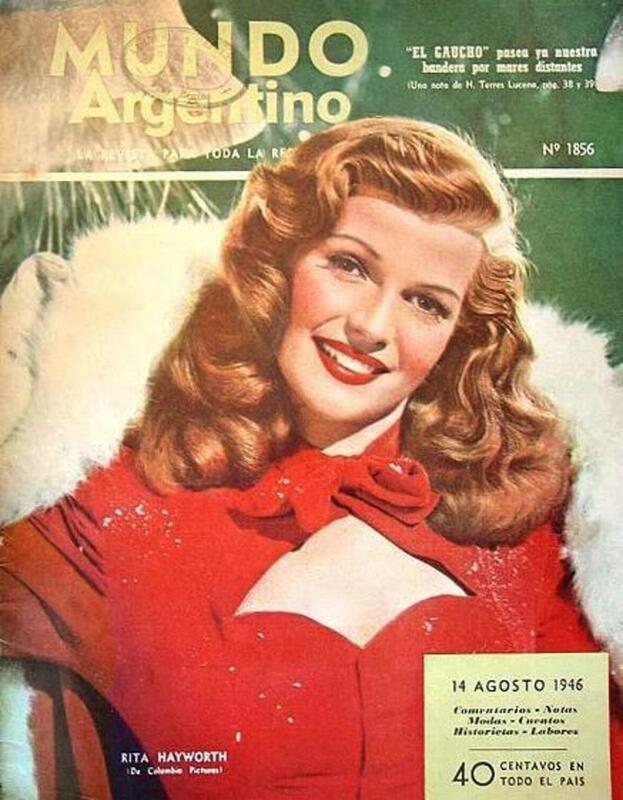 Merrill passed away in 1955 at the age of 62. Weissmuller was a swimmer in the 1920s and considered one of the best in the world, winning five Olympic gold medals and one bronze for the United States during his athletic career. His success as an athlete made him somewhat famous and in 1929 he signed a contract to be a model for BVD, a men's underwear company. This brought him even greater attention and that same year he made his first movie appearance, in Glorifying the American Girl as an Adonis wearing just a fig leaf. But Weissmuller's acting career really didn't start until 1932, when he signed a contract to play the lead in Tarzan the Ape Man. The film was a huge success and Weissmuller was on his way to stardom. He played Tarzan in 12 films before giving up his loincloth, only to assume the role of Jungle Jim in a series of films based on the comic strip character Jim Bradly. He made 13 Jungle Jim movies before retiring from the movie business. Weissmuller died of pulmonary edema in 1984 at the age of 79. Was Johnny Weissmuller the Best Tarzan? Johnny Weissmuller is the most famous Tarzan. Is he your favorite? Yes, he was the best! He was good, but not the best. I like Christopher Lambert better. Tarzan with a French accent! Miles O'Keefe's Tarzan, opposite Bo Derek's Jane, is my favorite. Travis Fimmel, Australian Tarzan, is the best. Buster Crabbe was an Olympic medalist, swimming in the 1928 and 1932 games. His athletic skills and powerful body made him a logical choice to replace Johnny Weismuller as Tarzan, or so the studios thought. 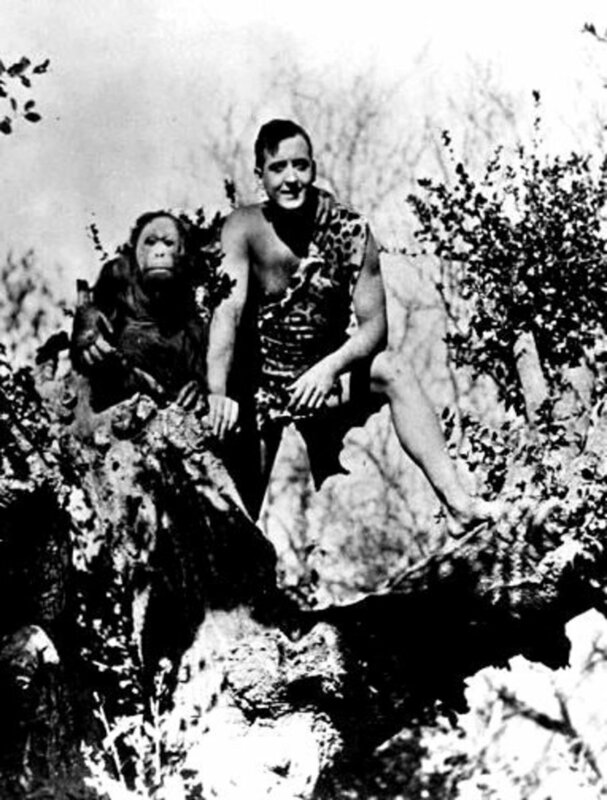 Crabbe's first and only turn as Tarzan came in 1933 when he starred in Tarzan the Fearless. 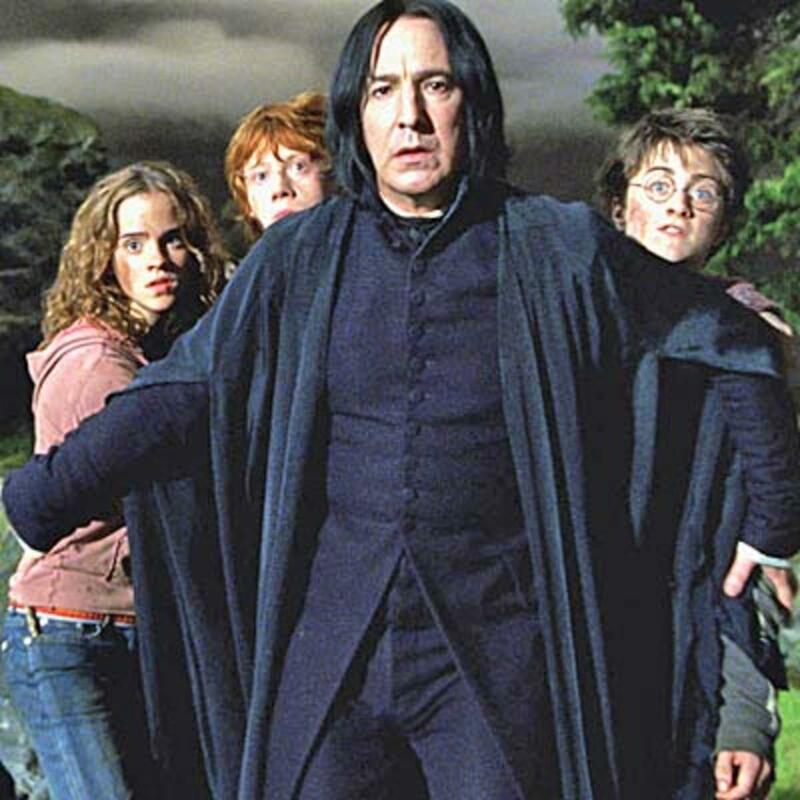 The project was meant to be a 12-chapter movie serial, but it was released instead as a feature film using just the first four parts of the serial. This was Crabbe's only outing as Tarzan, but he worked on several more movies that had a "jungle" theme: King of the Jungle (1933), Jungle Man (1941), and the 1952 serial King of the Congo. Crabbe's his real claim to fame, however, was as Flash Gordon in 1936. He died in 1983 and is buried in Green Acres Memorial Park in Scottsdale, Arizona. Highly sought after biography of Herman Brix who would go on to have a successful acting career as Bruce Bennett. Another Olympic medalist to play Tarzan, Herman Brix won a silver medal for the shot put track and field event in the 1928 games. In 1929, Brix came to Hollywood where Douglas Fairbanks, Jr. arranged for a screen test at Paramount Studios. Brix was cast in a film called Touchdown but he injured his shoulder during filming. This was a bad break for Brix, because MGM had decided they wanted him to play Tarzan in a new movie. His injury prevented him from taking the role, which went to Johnny Weismuller and made him a star. Brix got another chance to play Tarzan. In 1935 he starred in The New Adventures of Tarzan, produced by a newly formed Burroughs-Tarzan, Inc. 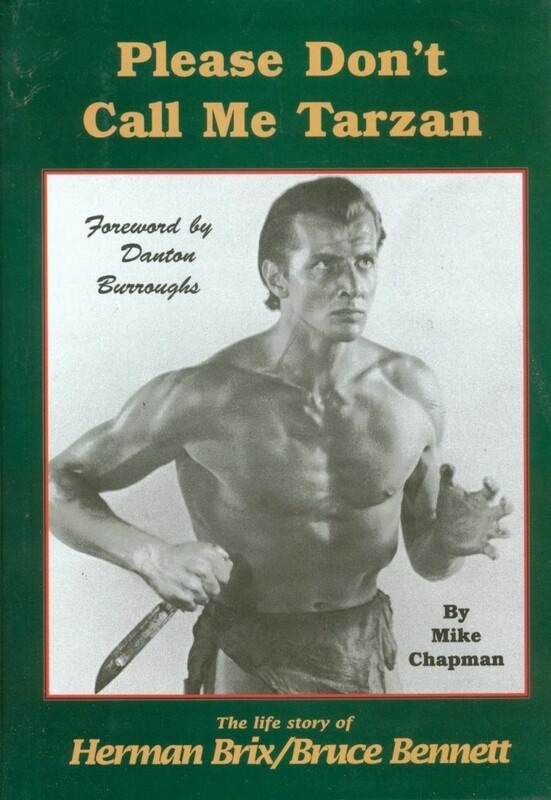 Since Burroughs had a hand in making this film, Brix's Tarzan resembled the one of the books. He was educated, cultured, and well mannered. In 1938 a second film, Tarzan and the Green Goddess, was released. Brix changed his name to Bruce Bennett when he joined Columbia Studios. He was considered a fairly competent actor and played in Sahara, Mildred Pierce, The Treasure of the Sierra Madre, and other films. Brix lived a full life, dying in 2007 at age 100. As a track and field athlete, Glenn Morris set a new record and won a gold medal in the decathlon in the 1936 Olympics. This success led to a lot of media attention and Morris did a short stint as an NBC radio commentator. 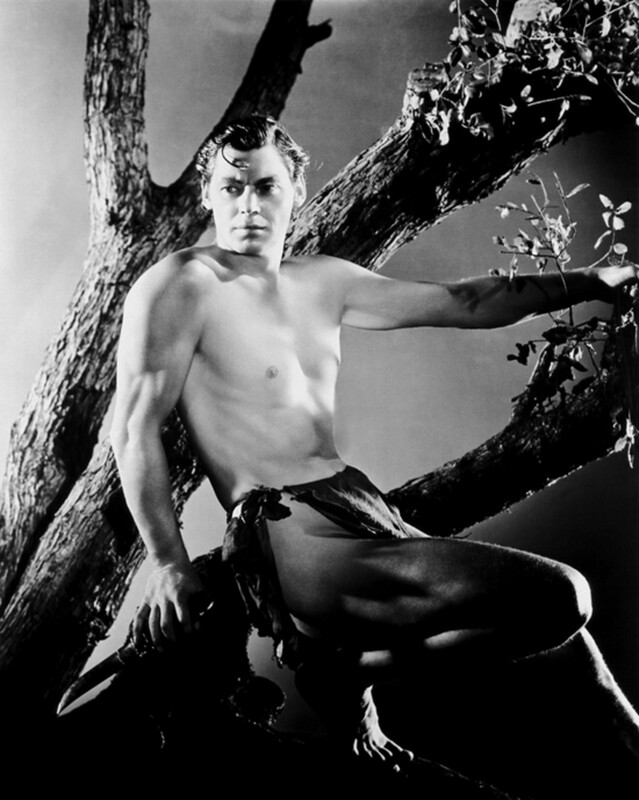 In 1938, Morris was chosen to play Tarzan. He appeared in only one film, Tarzan's Revenge. The movie (and his acting) were panned and he never tried to expand on his acting career. Morris left Hollywood to play football for the Detroit Lions, but after just four games an injury stopped that career short. Morris would eventually give up the sporting life altogether. He was in the Navy during World War II, commanding an amphibious-assault landing craft, when the stress took its toll and he was admitted for treatment for psychological trauma, spending several months in a Navy hospital. There are those who call Morris one of the greatest athletes ever. He died of heart failure in California in 1974. Handsome Lex Barker was disowned by his family when he chose to become an actor. On his own, he supported himself by working in the steel industry until 1945, when he landed a small part in the film Doll Face. A string of minor film roles followed, but his big break came in 1949 when he was cast as Tarzan in Tarzan's Magic Fountain. Barker made five more Tarzan films before leaving the role. Barker had his great success post-Tarzan in the foreign cinema. He starred in westerns, war dramas, and comedies. Barker married five times and two of those marriages were to famous actresses: Arlene Dahl (1951-52) and Lana Turner (1953-57). In 1973, just three days before his 54th birthday, Barker suffered a heart attack while out on a walk and died. He was cremated and his ashes taken to Spain by his ex-wife Carmen Cervera. In 1953, while working as a lifeguard in Las Vegas, young Gordon Scott was spotted by a Hollywood agent who believed Scott had the right physique to play Tarzan. He met with producer Sy Weintraub and signed a seven year contract. Scott replaced Lex Barker as the swinging ape man and made six Tarzan films, beginning with Tarzan's Hidden Jungle (1955). His later Tarzan films were Tarzan and the Lost Safari (1957), Tarzan and the Trappers"(1958), Tarzan's Fight for Life (1958), Tarzan's Greatest Adventure (1959), and Tarzan the Magnificent (1960). 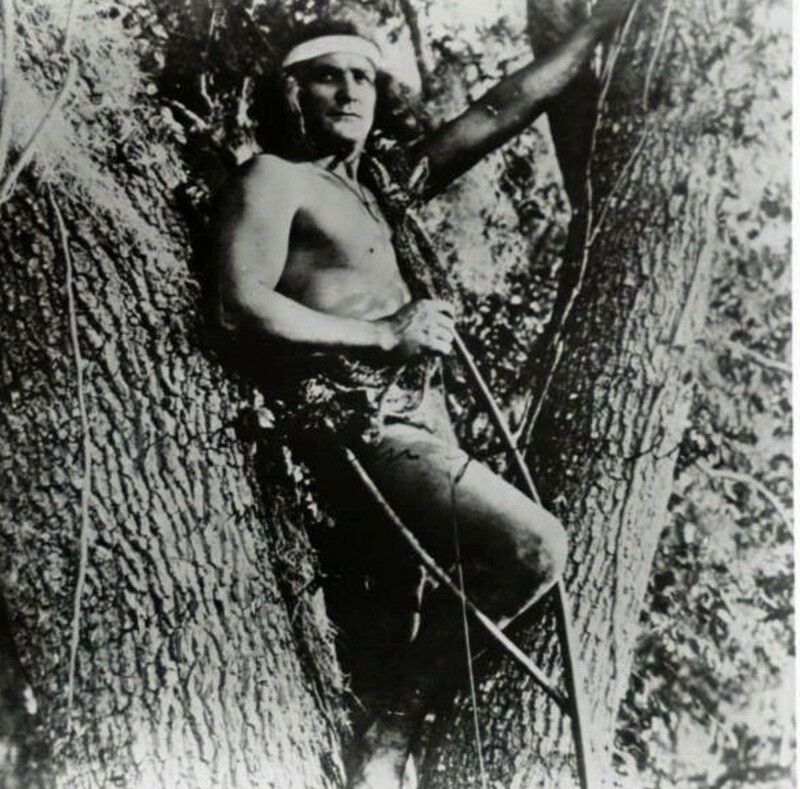 Gordon was considered by many to be the best Tarzan. When Scott left the Tarzan role, he moved to Italy where he became a popular action star making "sword and sorcerer" films. He died in Baltimore in 2007 of complications from heart surgery. Denny Miller was playing basketball at UCLA when he was discovered by a Hollywood agent and signed to a contract with MGM Studios in 1959. He was the first blond Tarzan, appearing in the film Tarzan, the Ape Man. It was a cheap movie that included a lot of footage from previously filmed Tarzan movies. It was Miller's only venture as the ape man. After Tarzan, Miller made numerous guest appearances, usually playing a villain or jerk. He appeared as the Gorton Fisherman on commercials for Gorton's fish sticks. Denny died at age 80 on September 9, 2014. 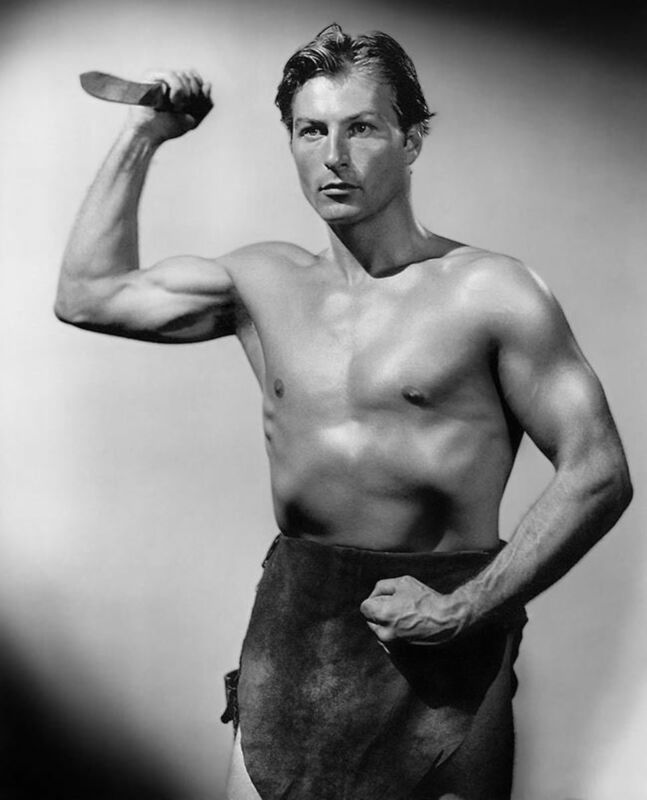 In 1948, Jock Mahoney auditioned to replace Johnny Weissmuller as Tarzan, but the role went to Lex Barker. Fourteen years later, producer Sy Weintraub decided that he wanted a new look for the ape man and 44-year-old Jock Mahoney had it. He took over the role of Tarzan in 1962, making just two films: Tarzan Goes To India (1962) and Tarzan's Three Challenges (1963). Mahoney's health suffered from working on the films and he was released from his contract. Meanwhile, producer Weintraub decided it was time to try making a Tarzan TV series. Mike Henry was a line backer for the Pittsburgh Steelers (1958-61) and the Los Angeles Rams (1962-64) before turning his attention to acting. He starred in three Tarzan films in the 1960s: Tarzan and the Valley of Gold (1966), Tarzan and the Great River (1967), and Tarzan and the Jungle Boy (1968). Working conditions were so horrible that Henry sued producer Sy Weintraub, claiming that his health and welfare were at risk. He was offered the role of Tarzan for the TV series, but turned it down. Another role you might remember Mike from, was as Junior in the Burt Reynolds comedy Smokey and the Bandit. At 6'4" tall, with a nice build, Ron Ely was the 15th Tarzan. In 1966, Ely starred in the first Tarzan television series. His Tarzan was well-educated and returned to the jungle when he got tired of living in civilization. The series ran for two years, airing a total of 57 episodes. Unfortunately, Ely sustained a variety of injuries while making the series. He was bitten by a "tame" lion. He broke his shoulder, sprained both wrists, and fractured a number of ribs. The list goes on. Part of the problem was that Ely insisted on doing his own stunts but had no stuntman training. Four movies, made mostly from material filmed for several two-part episodes, came out in the late 1960s and early 1970s. Tarzan's Jungle Rebellion (1967), Tarzan and the Four O' Clock War (1968), Tarzan's Deadly Silence (1970), and Tarzan and the Perils of Charity Jones (1971). Look for some great guest stars in the first season: Diana Ross, former Tarzan Jock Mahoney, Nichelle Nichols, Sally Kellerman, and more. Miles O'Keefe studied political science and psychology in college. After graduating, he took a job as a prison counselor in the Tennessee penal system and worked there for several years before trying acting. His big break came in 1981 when he played Tarzan opposite Bo Derek, as Jane, in Tarzan the Ape Man. The movie was written, directed, and produced by Bo and John Derek. It was widely panned by critics, but while it's not the best Tarzan movie out there, it's not the worst. Bo Derek admitted that "Miles had the most beautiful body I have ever seen." That's something, coming from the woman known to millions as the "perfect 10." O'Keefe went to Europe and made "sword and sorcerer" movies, such as Ator, The Fighting Eagle, and Iron Warrior. Christopher Lambert born in New York, but raised in Geneva, Switzerland and Paris, France. He worked in a few French films and became known internationally thanks to his role in the feature film Greystoke: The Legend of Tarzan, Lord of the Apes (1984). This film remained very true to Burrough's idea of Tarzan and received good critical praise. But Lambert's most successful international film was as Connor MacLeod,in the 1986 film Highlander, having appeared in all three sequels. 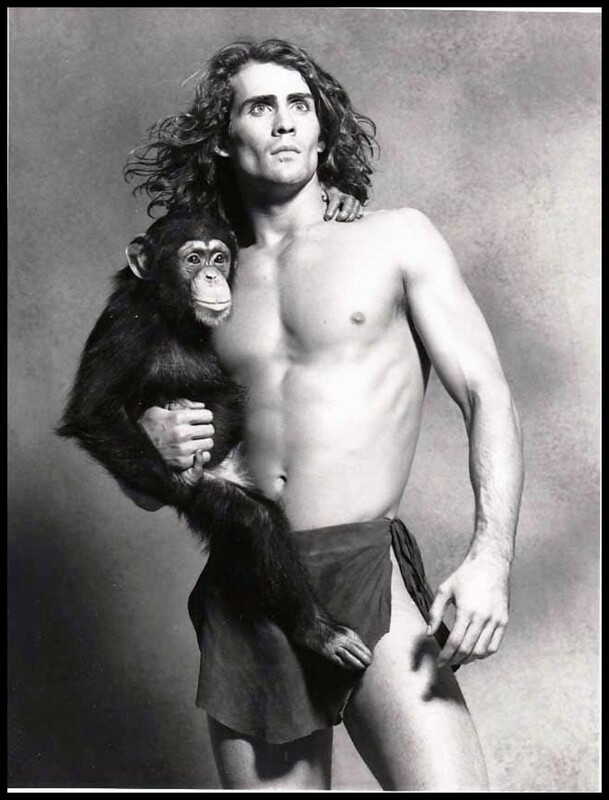 Joe Lara had two different outings as Tarzan. In 1989, he starred in the CBS television movie, Tarzan in Manhattan. The plot followed Tarzan's journey to New York. Lara played the ape man on his quest to find the person responsible for the his mother's death and to rescue Cheeta, who had been captured by hunters. Cheeta is being held captive by the Brightmore Foundation, which plans to conduct experiments that will allow thoughts to be transferred from one animal to another. Then in 1996, Lara starred for one season in Tarzan: The Epic Adventures. This series focused on Tarzan's younger years, after his first exposure to civilization. There were 22 episodes of this series. In 2002, Lara retired from acting to pursue a career in country music. In 1985 Wolf Larson moved from Canada to Los Angeles where he was discovered by an agent who told him to take acting classes to hone his talent. Larson followed the agent's advice, but also started his own video production company, Future World Productions. In 1991 Larson was cast to star in the TV series Tarzan. 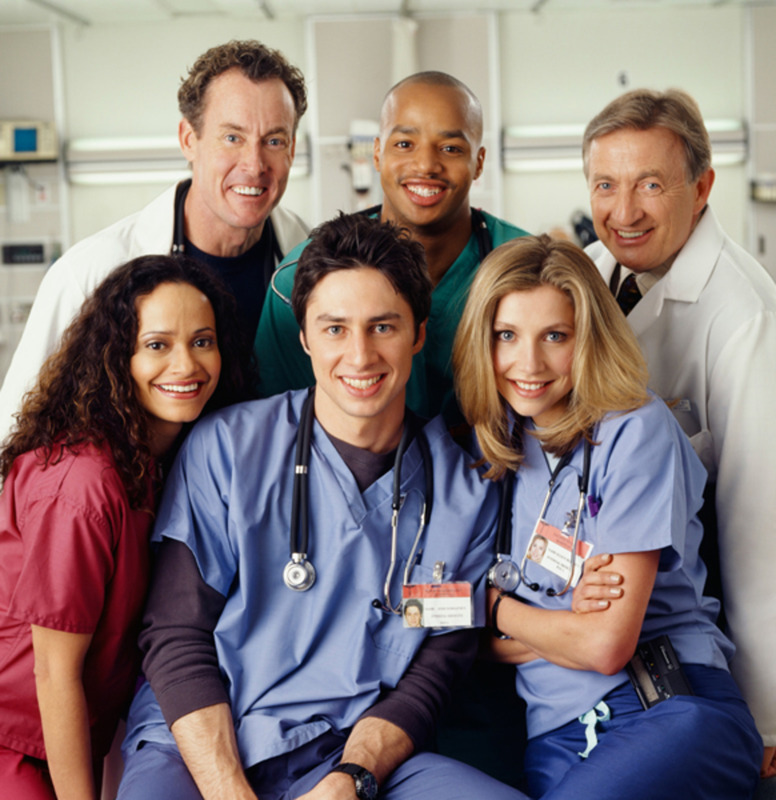 The series ran until 1994, airing 75 episodes. After Tarzan, Larson made guest appearances on Simon and Simon, Dynasty, and the evening soap opera Santa Barbara. Casper Van Dien played Johnny Rico in the 1997 movie Starship Troopers. You might remember Van Dien from Tim Burton's Sleepy Hollow, in which he played Brom von Brunt. Travis Fimmel is an Australian actor and former model who made a name for himself as a model for Calvin Klein jeans. 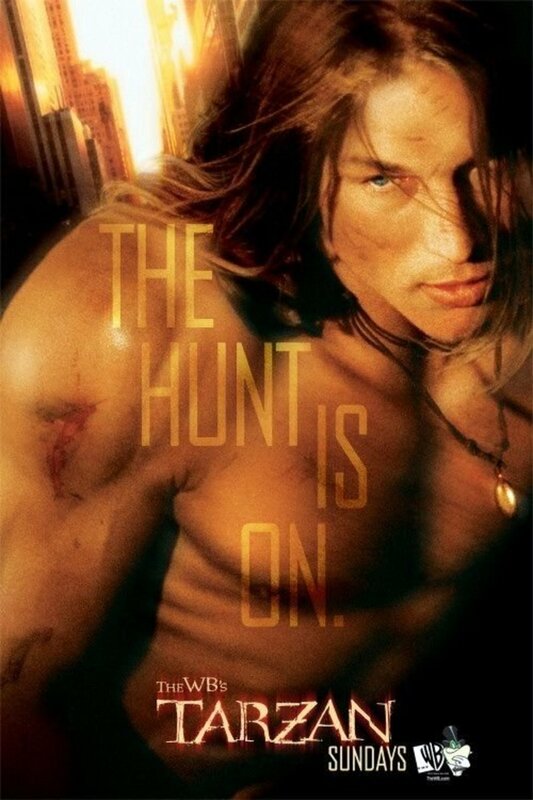 In 2003 he landed the role of Tarzan on a series produced by the WB. This was a modern-day adaption filmed in New York City. The series didn't take off, and was canceled after only eight episodes. Fimmel went on to work in the late Patrick Swayze's series The Beast, which ended after 13 episodes because Swayze became ill. In 2013, Fimmel played Ragnar Lothbrok on the History Channel series Vikings. Skarsgård got his start at age 7 when a friend of his father's gave the youngster a role in Åke and His World. When he was 13 years old, he became a star on Swedish television by starring in the television movie The Dog That Smiled. He would discover that fame made him uncomfortable and didn't work in another film for the next seven years. 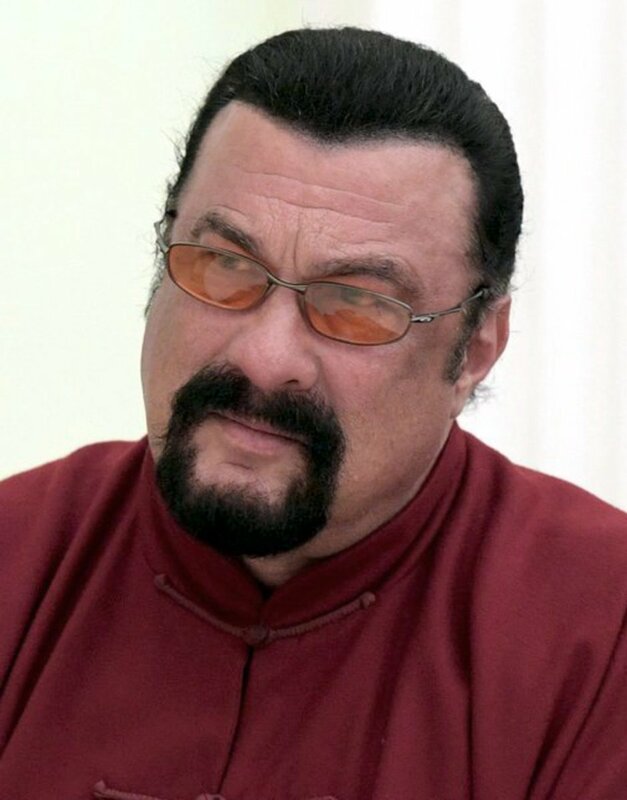 He finally returned to acting after he served for 18 months in the Swedish military. He went to New York City and spent six months there taking a theater course at Marymount Manhattan College. He then returned to Sweden ready to get back into acting and started to audition for roles in film and television. In 2001 he landed a role in the movie Zoolander. He moved to the US in 2004 and found roles the television movie Generation Kill in 2007 and in the series True Blood from 2008-2014. In 2016, he will star as Tarzan/ John Clayton III, Lord Greystoke in the feature film The Legend of Tarzan. Tarzan, Lord of the Jungle aired Saturday mornings beginning in September, 1976. Voice actor Robert Ridgely played Tarzan in all 36 episodes. This was a pretty decent series. Unfortunately, it is not available on DVD, but one episode, "Tarzan and the Colossus of Zome," is featured on the DVD Saturday Morning Cartoons: 1970s Volume 1. Perhaps the production company, Filmation, (or whoever owns the rights to their material) can't come up with a suitable financial deal with the Burroughs estate? In 1999 a movie-length cartoon, Tarzan, came to the big screen with actor Tony Goldwyn as our favorite swinging ape man. There were two sequels that never made it to the theaters but which went directly to video release: Tarzan and Jane (2002) and Tarzan II (2005). The Legend of Tarzan ran on ABC for 39 episodes from 2001-2003. 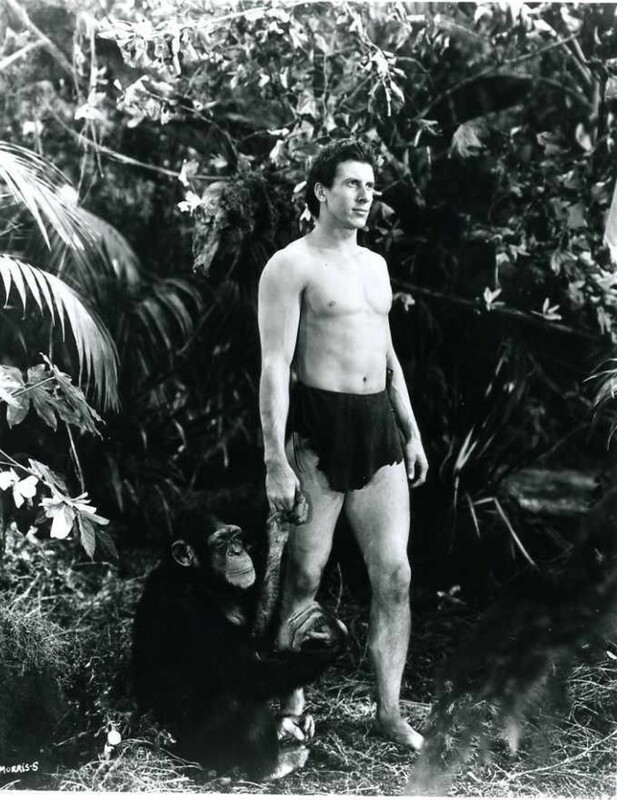 Tarzan was voiced by actor Michael T. Weiss. Also featured were the voices of actors Olive D'Abo, Mark Harmon, Diahann Carroll, Sheena Easton, Craig Ferguson, and Frank Welker. George of the Jungle aired on Saturday mornings beginning in 1967. Created by Jay Ward and Bill Scott, the duo who created The Rocky and Bullwinkle Show, the cartoon series was designed as a spoof on the Tarzan legend. George was dimwitted and clumsy (Watch out for that tree!). Actor Brandon Fraser did a big-screen live-action version in 1997 and Cartoon Network ran a new series in 2007 that only lasted for one season. A great big thanks to Ookie, a reader who tipped me off about Steve Hawkes (sometimes known as Steve Sipek). 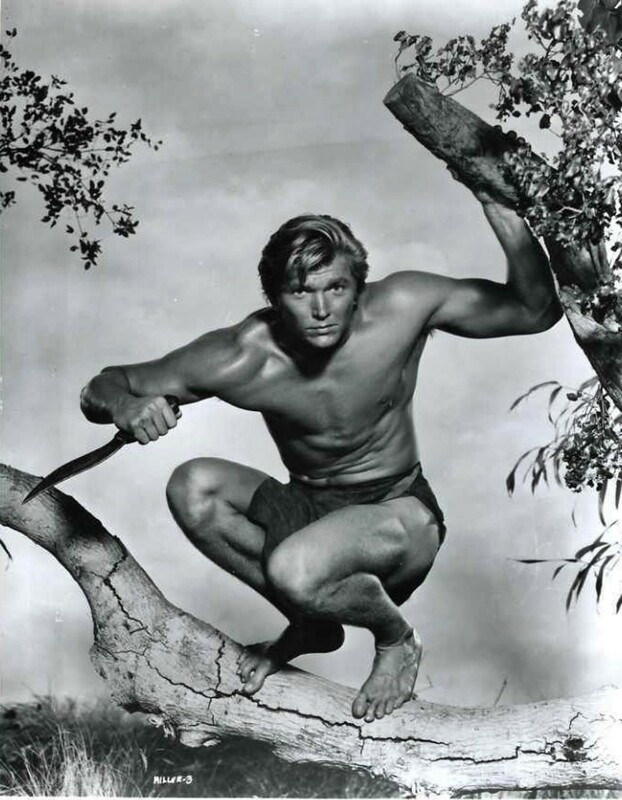 Hawkes played Tarzan in two Spanish films: Tarzan in the Golden Grotto (1969) and Tarzan and the Brown Prince (1972). When these films were dubbed into English, Tarzan's name became just "Zan." The production company didn't have enough money to pay the Edgar Rice Burroughs estate the fees to use the Tarzan title. Johnny Sheffield starred as "Boy" in the 1939 film Tarzan Finds a Son. He was never called "Tarzan" or "Tarzan, Jr.," only "Boy." Producers were under pressure from morality groups, who took exception to the fact that Tarzan and Jane were never married, so having their own child or children was a no-no. Filipino actor and comedian Joey de Leon starred in the 1989 spoof Starzan: Shouting Star of the Jungle. The Great Gonzo appeared as Tarzan, opposite Lily Tomlin's Jane, in the 1981 TV special The Muppets Go to the Movies. In the 1965 first season episode of Gilligan's Island, Kurt Russell appeared as "Jungle Boy." Denny Miller also made an appearance on Gilligan's Island, in the third season episode "Our Vines Have Tender Apes," playing Tongo, the Ape Man. Hey, not all Tarzan-like characters have to be men. This is a world full of equal opportunity, right? Rima the Jungle Girl was a character on the 1977 All-New Super Friends Hour. Fun fact: This character first appeared in the 1904 novel Green Mansions. In the 1955 TV series Sheena: Queen of the Jungle, Irish McCalla played the orphan girl who grew up in the jungle and learned to survive. In 1984, Tanya Roberts played Sheena in a big screen film and Gena Lee Nolin was Sheena in the syndicated series, Sheena, made in 2000. Bomba the Jungle Boy started out as a series of books but was made into a series of movies with Johnny Sheffield as Bomba, a Tarzan take-off. Clint Walker (the same handsome actor who gained fame as Cheyene Bodie in the TV western Cheyenne) played a tiny, uncredited role in a Bowery Boys film, Jungle Gents (1954). Walker was 27 years old and had yet to begin work on Cheyenne. Steve Reeves starred in the pilot episode of Kimbar of the Jungle in 1949. The rest of the series was never made due to financing problems. Ronald Adair, in the 1921 Broadway play. Does anyone know if this is the same actor who starred in the 1915 British film, The Girl Who Took the Wrong Turning? Having read all the tarzan novels, the movies never came close to the way edgar rice burroughs created him. Tarzan never lived in a tree house, never had a pet chimp in fact chimps were only mentioned 2 times in the wholes series. There are many more examples. Tarzan and Jane were married and had a son. The movies by themselves were entertaining but never as good as the books. When they made Tarzan the apeman with Miles O,keefe he didn,t have a knife,John Derrick who produced the movie said the didn,t give him one because where would he get a knife in the jungle. He should have read Tarzan of the apes it would have explained where he found it in the cabin he was born in on the Afican coast where his mother and father were marooned. As far as the movies i did enjoy them growing up. Gordon Scott was great, Mike Henry and Miles Okeefe were the best built. 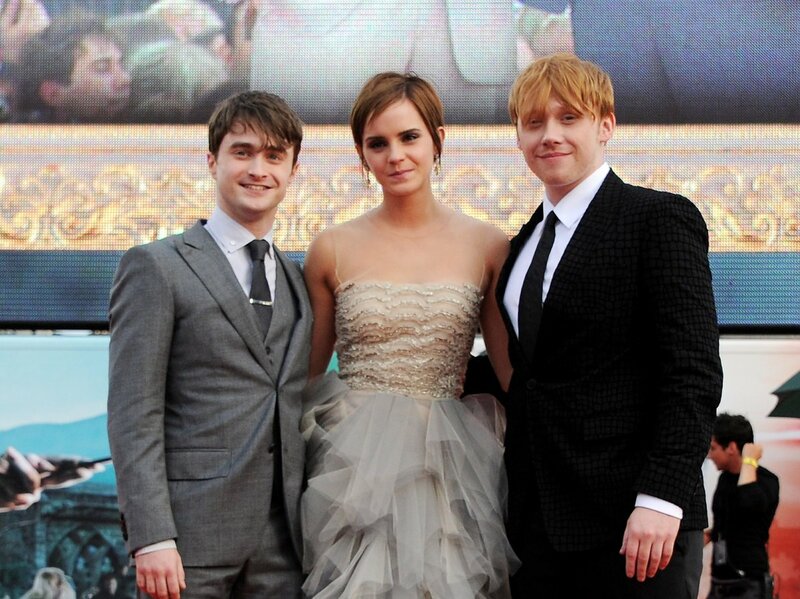 I know movies can,t always go exactly like the books. 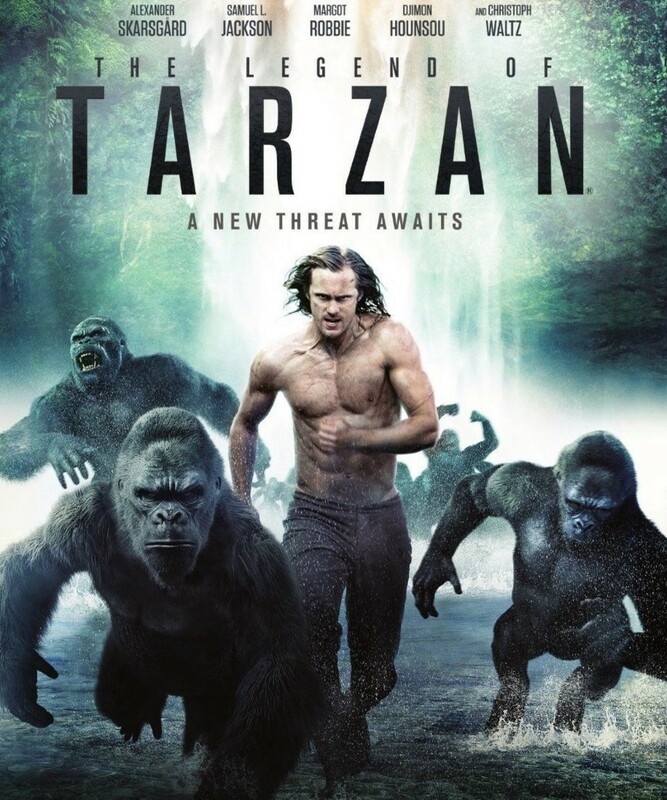 I,m still waiting for that one movie that depicts Tarzan like he is in the books. Hi Larry, thank you for sharing your memories and love of Tarzan with us. Stay young! My child hood hero, Johnny Weissmuller as Tarzan. I grew up in the 50's and 60's. Playing Tarzan in the back yard. My claim to fame is the Tarzan yell. I could do all the different Tarzan yells from the different Tarzan I saw in the movies. Johnny Weissmuller's yell is the best and most known. I am now 69 years old and can still do the yell. Exactly as Weissmuller did it. I live in southern Indiana in the woods surrounded by Yellowwood Foresty and a neibor down the valley about a mile is a movie buff and our local fire chief ask me one day if I have heard a Tarzan yell coming from our woods He said it must be someone playing a recording. I smiled and said yes I heard it. When he went back into the fire station I let out with the yell. He came running back out and saw me smiling and I did it again. He was impressed. I did it at Disney World on the MGM ride as the boat passed the Tarzan exhibit. My wife got mad but all the people around us loved it. I will always love the memorys of Tarzan and I will keep doing the yell till my voice gives out from old age. I think that Mike Henry looked the role like no one else. Also didn't know so many.liked Johnny,but ,1966,I was 8 yrs. old.Really liked,all 24 actors. I like Tarzan. Wow, I did not know that so many Actors played Tarzan....My favored actor as Tarzan was the One and Only Johnny Weissmuller.! My favorite Tarzan was Wolf Larson!! He and Lydie Denier really made a BELIEVABLE COUPLE, but I wish they had done another season where Tarzan and Jane finally got married!! The ending of the series (the way it ended) just left you hanging, so sad!!!! I remember Jane's drawing of Tarzan and Jane standing next to each other and Jane is holding a small boy in her arms.It would have made a better finale!!!! I had always believed that Weissmuller was the best TARZAN and that MGM had made the best movies. I have to say that after seeing the Legend Of TARZAN movie, I have been spoiled. This is an amazing movie that tops everything that has ever been done. I only hope that there will be more to come. Johnny Weismuller and Gordon Scott are the only ones I remember as the actor that portrayed Tarzan of the Apes. That is how I relate to him growing up back in the sixties. Bo Derek impressed me as a better Jane than the one that played her previously. If I had to pick one I think Weismuller would squeak by. From reading this article I'm surprised by the staggering list of all the actors that played the ape man. I remember Johnny Weissmuller first. I don't know why, but I was surprised so many of them were athletes. I knew Johnny was athletic as my father used to swim with him in competitions. One of our family favorite photos is one of our dad and Johnny at a pool where they were (it looks like) lifeguards. In 1953 Gordon Scott worked in a warehouse and had never been heard of by Hollywood, but he dated my mother. When my father discovered this during their brief divorce (I was 3 years old) he chased Mr. Scott off my mother's front porch with a shotgun and told him she was already taken. When Gordan became Tarzan 2 years later, my Dad's story became "I chased Tarzan off my wife's front porch." I do not remember the incident. I grew up on the East Coast of Florida in the '50's and Jon Hall and Frances Langford lived down the road. It had been mentioned "Jon Hall had acted as Tarzan a few years prior". In doing a Google search, I find he did Ramar of the Jungle, plus a number of various other movies and shows. Thus I stand corrected. @anonymous: I am thinking you mean Ron Ely...who is listed. But I will do some more research to make sure I haven't missed anyone. What about TV's Ron Eli? What boy I see no info znd bout Tarzan junior? Chistopher Lambert is the worst Tarzan ;-) But what a great list... never knew there were so many men of the jungle! @tedwritesstuff24: Heehee, you are not the only one to suggest that Christopher wasn't the best actor to play the role. :) Thanks for the comment! This is nice stuff you have here. Congrats from Brazil. My first time I'd saw Tarzan was when Ron Ely played him.I didn't know that the guy who starred with Patrick Swayze in The Beast was Tarzan. I'd thought he was one of the people who was looking for Tarzan. I thoroughly enjoyed this list. My personal favorite Tarzan is Gordon Scott, I believe he most accurately portrayed the physical Tarzan. I found this page after a friend tried to convince me that Clint Eastwood had played Tarzan! I can only guess that he was thinking of Jock Mahoney due to his look and the time frame matches my friends recollection of the dates from his childhood! Funny how time can alter memories! @WriterJanis2: Thanks for the kind words and the visit. It is appreciated. I never knew so many actors have played this role. Nice info. I grew up in the '60s and '70's idolizing Tarzan. He didn't drive fast cars. He didn't have to interact with people (although he did). He didn't have to depend on anyone else to survive. He was Tarzan. He was muscled, carried the only weapon he needed, a knife that Rambo would've been proud to use, and his cunningness. Bravery fueled his movements and athleticism allowed him to follow through. Every impressionable young boy considered themselves a type of Tarzan, if only in their daydreams and nightdreams. He's faded some due to weak writing, but he's still Tarzan, my childhood hero - at least to me. Enjoyed watching Johnny Weissmuller on Sunday afternoons with my mom, some early cable show where they had a Tarzan movie ever Sunday afternoon. Wow, I didn't know so many actors had played Tarzan. How about Steve Hawkes? His two 70's films were Tarzan flicks until they had to change the name to "Zan" for legal reasons. He now runs around somewhat claiming to be the real Tarzan running an animal sanctuary in Florida. My favourite Tarzan is Gordon Scott, probably because I remember him in the theatres when I was an impressionable young boy in the late 1950's. Me, Tarzan, You, Jane. That is what I remembered from a Tarzan movie when I watched some of the old reruns. I did not realize there were so mant Tarzans. The only one I recall was Johnny Weissmuller. Great compilations of the jungle man. Wow! That's a ton of Tarzans, lots of loincloths and muscles! Wow ~ I had no idea there were so many Tarzans! Great job. Johnny Weissmuller will always be my personal favourite! great lens! 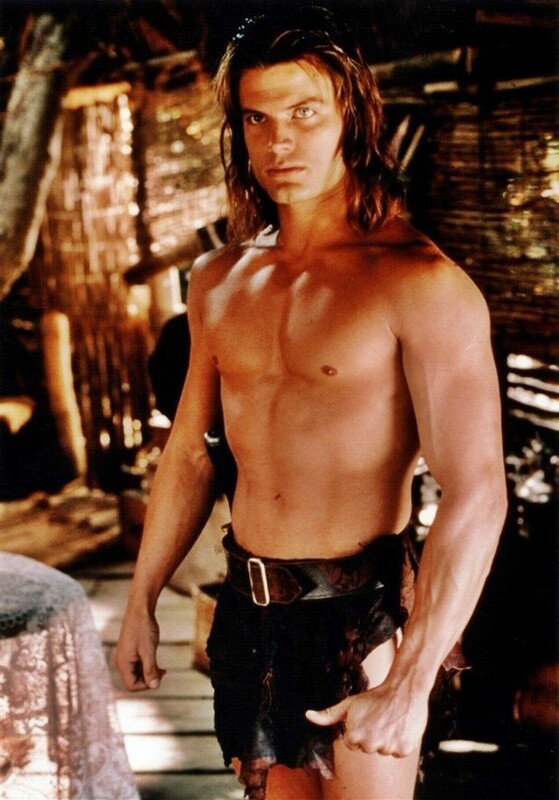 Tarzan 2003 with Tavis Fimmel, that some guy, i have been searching for DVD's i can can't find any, all i have found is bits on Youtube which is all right but i want my own full series, does anyone know where i cauld find this. from seaching there is quite a few people looking for a copy too. I wish that someone would do a difinitave Tarzan movie, and I mean follow the first two books as close as possible. The movie made by lambert was not the bests. jane was not older than him, nore was she his cousin. I would love to cast the next Tarzan movie. 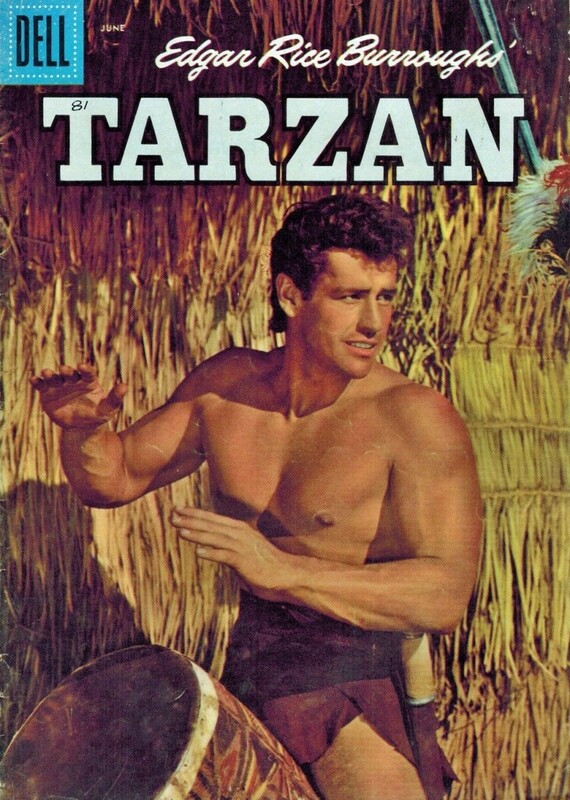 I too didn't know there were that many men who played Tarzan! Great job! I hadn't realized there were so many Tarzans. Nice job!